Here at American Family Fitness, we know how important your children are. We are proud to offer our KidZone, an onsite childcare service for members. Fitting in a workout can be a challenge sometimes, especially when you need a sitter for the kids. Your worries are over! Our Fredericksburg gym offers onsite childcare services for members. The KidZone is a safe and secure play area your children will enjoy while you workout. Don’t sit on the couch all summer playing video games. 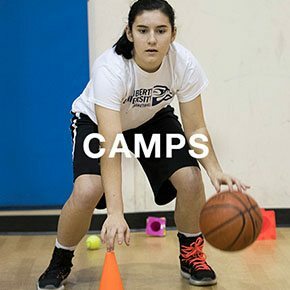 Get active and come to the best gym in Fredericksburg for summer camp. For ages 3-5 we offer Jr. Kamp Kaboom, and for ages 5-13 we offer Kamp Kaboom as well as activities like basketball, cheer, dance, volleyball, and soccer. You won’t get bored! 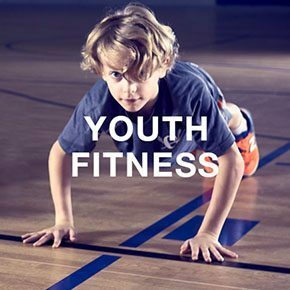 Healthy lifestyles start at a young age, which is why we're proud to offer our American Family Fitness families a wide variety of youth programs to help get kids moving. Kids will enjoy everything from swimming lessons and swim club, to youth sports leagues and camps, and more. Call today for more information. Need an idea for your child’s next birthday? 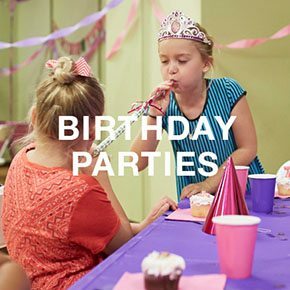 With two party packages at our Fredericksburg gym, the Birthday Bash Standard and the Birthday Bash Deluxe, you won’t have to look any further. We love to celebrate with kids from ages 4-13 years, so count on us for the best birthday ever! Ask the Welcome Desk for more information.